Hailing the efforts by the participants of an annual walk by Shia Muslims from Najaf to Karbala, wherein they had raised slogans and placards in favour of our freedom struggle, Hurriyat (G) Conference chairman Syed Ali Geelani said that Muslim Ummah is like a single body and if any part of the body is in pain whole body feels and expresses it. The spokesman said that any individual with the human heart anywhere can sympathize with a nation forces in the “chains of slavery”. He said that this is encouraging and very supportive for our movement and we sincerely thanks all those who stood by us in this need of an hour when world biggies are busy in death and destruction all around particularly of Muslim nations through their stooges and puppets. He said every freedom loving person, no matter what ethnicity, religion or region he belongs to, is ambassador for our movement and he or she should act as a voice for our agony and atrocities in the world forums to expose the brute and mutilated face of “Indian democracy” of which every nook and corner of Jammu and Kashmir stands as a documentary proof. Meanwhile, chairman Tehreek-e-Hurriyat Mohd Ashraf Sehrai, thanked people from Iran, Iraq, Lebanon, Yemen, Syria, Nigeria including many Kashmiris, who were part of the Arba’een walk and many other nations staged silent protest against the violence in Kashmir and showing tremendous solidarity with Kashmiri people in Kerbala and Najaf where millions of people have gathered for Arba’een walk, where millions of Shia pilgrims assemble every year to commemorate the martyrdom of Hazrat Hussain (RA). 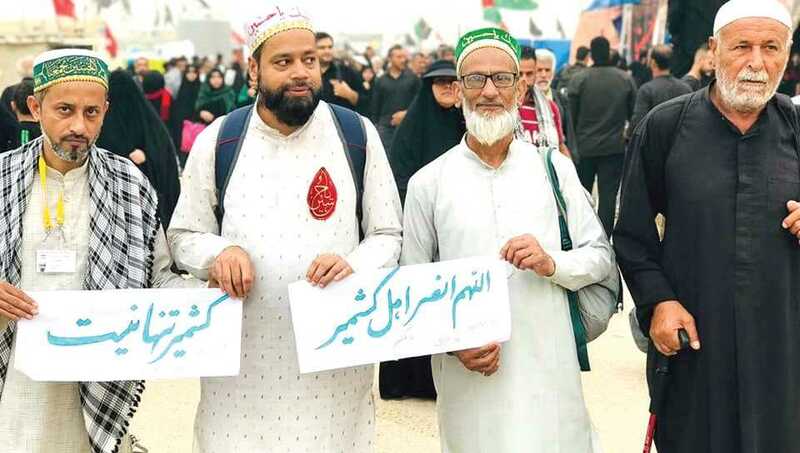 Sehrai said in a statement, when we study Karbala we observe it was social, political and religious factors that made Imam Hussain (RA) rise to challenge ‘Yazid’. A key factor was the violation of the principles of Humanity. The way people shared our pain and raised their voice in our support is commendable and such advocacy to the subjugated Kashmiri people is very encouraging for us and it has added a new life to the freedom sentiment of the people of our nation. 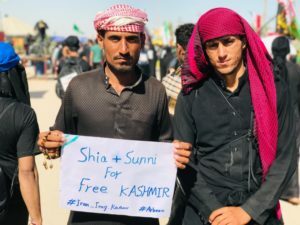 And the way lakhs of people during this holy pilgrimage journey demonstrated and displayed play cards in favor of Kashmiris and paying tributes to the valiant struggle of Kashmiri people. 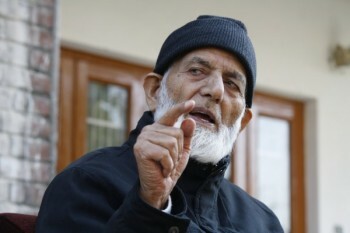 The spokesman added that this was meant to convey to the world in emphatic terms that Muslim Ummah will never leave their Kashmiri brothers and sisters alone in their just struggle.